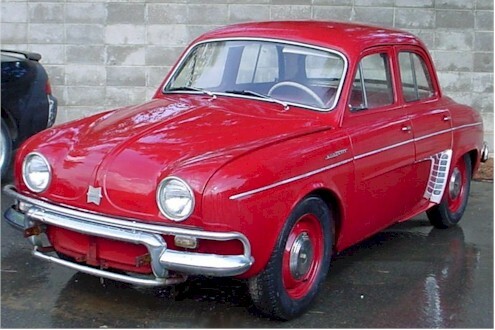 It looks like Renault Dauphine because it IS a Renault Dauphine. This company just took them and converted them to electrics. And we thought electric cars were something new! Yes, this is the same Henney Motor Company. See Wikipedia's "Henney Kilowatt" entry. Yet another car I never heard of! Is this the Henney that designed hearses and limousines? Most of Henney's designs were built for the Packard chassis. It has a Renault Dauphine-esque appearance.